I have taken the step, that many of you have already taken. I have joined twitter. I know what you are thinking, I am behind the times and there will no doubt be something else new and fancy that I will also take forever to sign up to. I just joined Twitter about a month ago. It's pretty addicting! There are some great, hilarious celebrity accounts to follow. i have twitter! 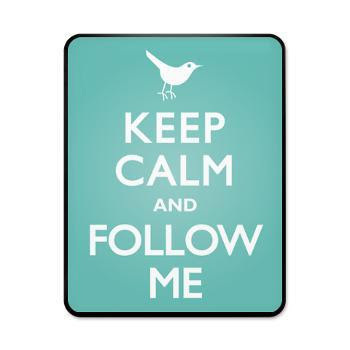 will follow you now! I hav e twitter but am a complete novice at it. I'll try & find you. I'm @intotheblonde. Hey, I'm thankfifi on twitter - I'll follow you and hopefully you should be able to then follow me back... sure we'll get to grips with it eventually!